There are many reasons to be glad: happy music, happy faces, happy times and a brilliant new column by Jeff Scher on NY Times Select. A new skin care campaign from Elave, a U.K. company that is using the oldest trick in the book. That it is swathed in ad spin rhetoric makes it even more, um, transparent. Via the DesignNotes blog written by Michael Surtees. 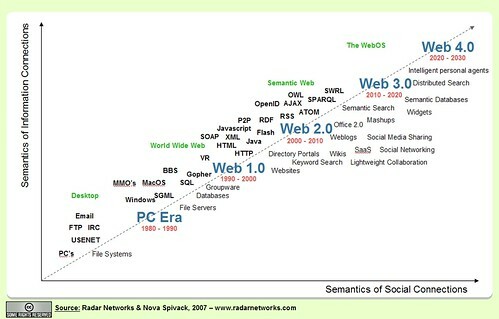 Here a timeline of the past, present and future of the Web, created by Radar Networks. 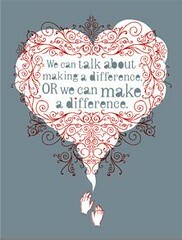 via the always fabulous swissmiss. While waiting on line at a midtown soups-and-sides deli, a cup of vegetable soup glowing hot in my hands, I noticed a peculiar thing. The customer at the counter, a sweet-looking old woman with a stunning Louis Vuitton bag gripped in one tiny fist, placed her meager items on the counter, pulled out a handful of cash, and proceeded to order Lottery tickets. I didn’t pay attention at first, this being New York, the city that practically invented the slogan “a dollar and a dream,” but when the long roll-call of Lotto jargon flew from her lips, like a devout widow counting off the beads on her rosary, I started to worry. Quick Pick, Mega Millions, Take Five, straight in the box: the jargon flew effortlessly as the clerk tapped on the machine and cranked out the slips. And it didn’t end there, for soon after she unfurled the poetry of scratch-offs: Juicy Loot, Sunny Money, Set for Life, King of Cash, an endless catalogue of intermingled chance and desire. By then, the collective grumbling on the steadily increasing line was becoming more pronounced, and new characters were making their entrance. A man standing behind me said to his friend, “To make up for his misstep, I had him make donations to two of my favorite charities: my bartender and my drug dealer.” Another man, who was leaning against the ice box, said into his cellphone with a voice that dripped like olive oil, “Since you obviously don’t know how to get sugar from a sugar bush, I’d say it’s time you tap into another venue.” The young woman with the martyred look who stood in front of me continually grabbed the stray ends of her hair and chewed on them hungrily, as if she hadn’t eaten since the Velvet Revolution. And of course there was me, a cup of soup sweating in my palms, my heart beating because for a moment I imagined myself as a girl wearing an Alice-band who happened upon a rabbit hole. But instead of Wonderland, I’d wandered into a tamer version of Dali’s “Vision of Hell.” I’m sorry to report that, after the old woman snatched up her tickets and shunted down the counter to begin her penny-scratching, the young hair-chewer, after ordering a pack of Camel Lights, restarted the Lotto roundelay, leaving me with chilled and congealed soup. On behalf of Design Matters, I’d like to thank the New York State Lotto Commission, without whom none of the preceding would have been possible. This little chance-medley experience got me thinking about quirks. We all have them, even if we don’t want to admit it. From the repulsive businessman who clips his fingernails on the bus to the gruesome guy who flosses on a trans-atlantic flight (which I happened to witness with wide-eyed dismay, the man working against his gums with the zeal of two lumberjacks operating a cross-cutting saw), humans do the strangest things. And our own quirks are what define us as unique individuals. There are troves of signage that are peculiar to every subset, and our distinct qualities are what aptly describe the wealth of contradictions and moods, the originality of style and substance, inherent within us all. Even the way one smokes a cigarette is overt testimony of their one of a kind DNA. Could anyone else in the world blow as beautiful a plume of smoke as Bogie did in Casablanca? Or transmit the now clichéd message of utter cool, as exemplified by James Dean’s rebellious stare, cigarette jutting from his lower lip? Let us consider the more recent examples of famous quirks. The weird swirl on the peak of Donald Trump’s skull, which looks like the deflated hair net of a burned-out fry cook, and the baby-talk look he gets on his face when he’s about to say, “You’re fired.” Or the droopy-eyed, drunken pout of Paris Hilton, when she slurs, almost inaudibly, “That’s hot,” her body at half-mast with hands that perpetually swat away invisible paparazzi. Billions of examples abound, whether you vacation in Sun Valley or hail from Rego Park, it doesn’t matter, for odds are, if you were to examine yourself closely, you’d find that you were much weirder than you thought. So don’t look too closely, or you may never leave the house again. After my morning jaunt at the deli, I went into my office consumed with outrage and fury. As I recounted to my colleagues every last baffling behavior, the conversation turned to all of our quirks and bad habits. While no one would admit having any, Lisa reminded Jen that she screamed out “NAILS” every time Karen tapped noisily on her keyboard. Rina retaliated by telling Clara that she always crinkled the silvery orange package of her granola bar when it was time for her afternoon snack. Jen told Andrew that he was such a loud talker she could hear him yapping on the phone in the next office. No one could believe the follies of their own behavior. Then everyone stopped and looked at me. I looked back in mock horror. “What,” I asked, “do I do?” They all started laughing. “You mean you don’t know?” Rina replied. “No,” I said. “I don’t.” They continued laughing. Lisa went first. “You have a really loud way of blowing your nose.” Then Rina added, “You apologize a lot.” And finally Jen threw her two cents in: “When you’re nervous, you tap your stomach.” I was mortified. I had no idea. Well, I knew about my nose blowing abilities, but stomach tapping? That was outrageous. After I recovered from my embarrassment, I realized that most of these behaviors were unconscious. None of us had any idea we were being so incredibly annoying. Clara didn’t realize she was crinkling her healthy snack wrapper, Karen was unaware her nails were so grating, and Andrew insisted he wasn’t a loud talker. Our quirks and odd mannerisms are manifestations of living on auto-pilot. Perhaps it is in our nature to avoid conflict. And perhaps it is in our nature to be oblivious to our own freakish behavior. But not me, not anymore. Never again will I tap my stomach when I am nervous. And next time I see someone flossing on a midnight flight, I am going to wrench the floss from their fat little fingers and threaten to strangle them with it. Then I’ll apologize, of course. Joining me today on Design Matters are Jan Wilker and Hjalti Karlsson of karlssonwilker inc.
VoiceAmerica is now the industry leader in Internet talk radio, and Design Matters has over 150,000 listeners. We were also voted a "favorite podcast" on IF's Marketing Podcast survey at www.if.psfk.com, and the show is available as Podcasts on iTunes, where over 45,000 people download the show every month. Although, truth be told, the best line of the show is from Rosie: "Big, fat, Lesbian, loud Rosie attacks innocent, pure Christian Elizabeth, and I am not going to do it." We will miss you, Rosie. Stay a bit longer! I was born clumsy. My family knew it long before anyone else. I tripped into thorn bushes and I fell down stairs. I knocked over milk glasses at the dinner table and experienced smashing accidents on my bike. But Nancy, my best friend from elementary school, was the opposite. Where I was unwieldy and weird, she was agile and athletic. She was gangly limbs and gap teeth; I was freckles and baby fat. But we were inseparable. So when the Howard Beach, Queens parks department installed monkey bars and a swing set in the swath of concrete outside Public School 203—one of those intimidating, geometric abstractions that looked like a medieval torture instrument—Nancy was the first in our third-grade class to ascend the full length of its horizontal peak. Though I’d already acquired a reputation for being clumsy in class, Nancy naturally wanted me to try it too; she was determined for us to do everything together. I happily obliged, if only to avoid letting her down. I also thought that somehow, if I managed to do this successfully, I could rectify my reputation, and seal myself a gleaming new history in the minds of my classmates. As the rest of the class looked on in animated horror, I slowly traversed the bars, my hand testing each length of metal pipe before I pulled myself across another notch. Underfoot there was nothing more than a square-cut industrial carpet, and far beyond that, an island of concrete. Once all the way over, sweat pouring from my brow, I steadied myself on the crossbar, victorious, as if I was the one who ordered the rise and fall of the sun and moon and expected birds of a gentle feather to nestle upon my shoulder. I waved at everyone else to tell them that it was okay, using both hands, and with nothing to maintain my balance, I fell through the gap in the bars, tearing my favorite Brady Bunch tee-shirt and receiving a whopping black-and-blue smear marking my bum for both my bravery and my vanity. Yes, I was humiliated, and yes, my reputation as a klutz was cemented thereafter, but this minor glitch in a life already brimming with glitches eventually led me to a revelation. The fact that I fell off the monkey bars was funny. People laughed when I told it and it made for a better story. 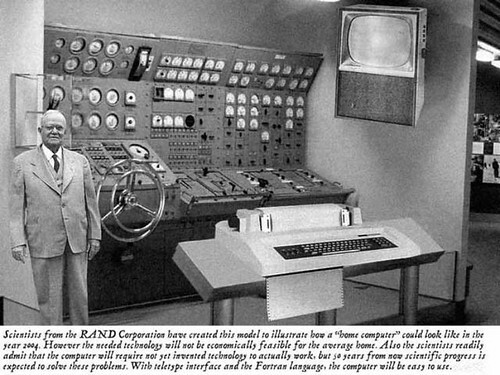 I often think of this as I face a blank screen sitting down to write. For the blank screen, which has surpassed the blank page for many writers in this new century, is one of the great literary terrors. The very challenge of writing is one of the reasons that I love writing. It grants me the opportunity to try and create order out of a disordered universe. Word by word, a string of narrative cohesion emerges from my slow labors, and when it all comes together to my satisfaction, I derive a pleasure unsurpassed by any other endeavor. I write to discover what I know about the world and about myself, and the more I fill the screen, the more I realize that life is far less than ordinary, and endowed with all the more magic for it. Unfortunately, in a literary life, this is a magic that often proves elusive. A good writer once told me his philosophy of writing. He described it as a marriage, one that required monogamy and an abiding love. You didn’t have to bring it flowers every day, he said, but you did have to pay very close attention to it, because if you didn’t, it could easily betray you. If you were unfaithful, or lagging, it would break your heart into a million pieces, take your car and your house and your indoor swimming pool, and leave you with a long sob story for your AA meeting. Of course I laughed, but I knew exactly what he meant. A writer has to be disciplined and rigorous. 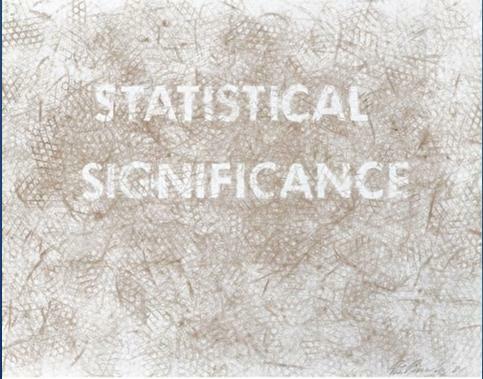 Is there any other way to unearth the buried secrets of the human condition? To discover new worlds through a spattering of words? Consider the genius of a writer like James Joyce, who, to quote Shakespeare, “with witchcraft of his wit and traitorous gifts” proceeded to map out the inner lives of two mere mortals, Stephen Dedalus and Leopold Bloom, and by following their daylong journey, thus managed to encapsulate for our enlightenment, universal beauties and truths. The sheer virtuosity of Joyce’s language, of imagination, moved me to sensuous swoons. Along with other favorite writers, such as Woolf and Dostoyevsky, Joyce sweeps me off my feet as if he were a ballroom magician. Reading great writing is akin to a collision of spheres, a cataclysmic revelation magnificent enough to spew into the wide reaches of the universe the very origination of things, the very soul of creation. It mirrors our own experiences, describing our daily hurts and our daily joys, and it is this art that has swept the world stage for more than five centuries, with Gutenberg’s invention of movable type. And how appropriate this is, for we are creatures who desire to be moved, to experience profound emotions, and it is the lucky reader indeed who seeks to be swept off their feet. For when a writer is smitten by the muse, what music they provoke from their nervy fingers, sound enough to ripple across space and time, sound enough to browbeat away all calamity and misfortune, a powerful gravitational force that pulls you into the writer’s world, because this is the music that is more fortunate than heaven. One day, I hope that I am lucky enough to find that particular plot of cloud, hovering in the fly paths and resounding with the music of the spheres. Until then, I’ll have to make due with walking into glass doors, banging into hard-edged furniture, and tripping over my own two feet. Joining me today on Design Matters is Alice Twemlow. Alice Twemlow is a design writer, curator and educator. She contributes to publications including Eye, Design Issues, I.D., Print, New York Magazine, and Architect’s Newspaper and her essays are included in books such as Elsewhere: Mapping (University of Minnesota Design Institute, 2006) and Looking Closer 5 (Allworth Press, 2007). 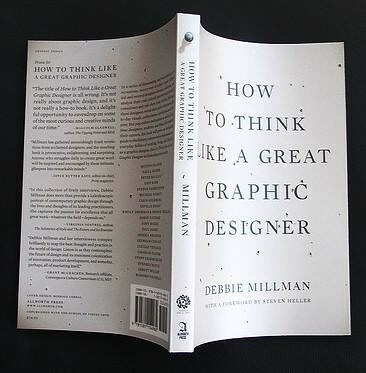 She is the author of What is Graphic Design For? (Rotovision, 2006). She is also an accomplished and sought-after curator. A selection of her exhibits include The Urban Forest Project in New York City, which included, 200 tree-related banners from designers all over the world in Times Square, New York, Emerging Designers in Berlin, Showing Heart, an exploration of contemporary illustration in the context of design at the Art Directors Club in New York, Powerhouse: UK, Department of Trade and Industry exhibition, in London and Design of the Times: One Hundred Years of The Royal College of Art in London. Alice teaches critical thinking to MFA students at the School of Visual Arts and the Rhode Island School of Design, and is the chair of a new MFA in Design Criticism at SVA scheduled to open in 2008. 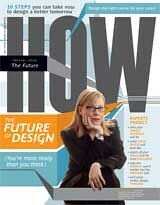 Alice has also directed and co-directed several design conferences including “Voice: AIGA National Design Conference 2002,” “Looking Closer: AIGA Conference on Design History and Criticism” (while program director at AIGA) and “Being Here: Craft and Locality in Graphic Design” in 2004. Alice received her BA in English Literature from Bristol University and her MA in Design History from the programme run by the V&A and the RCA. 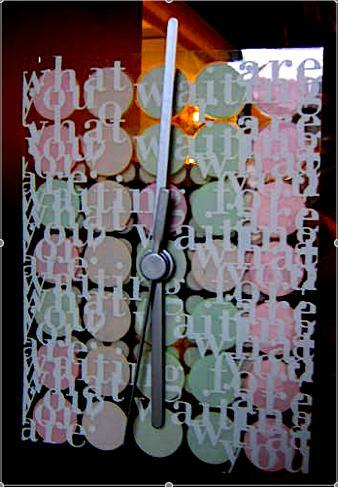 The Washington DC Chapter of the AIGA asked designers from around the country to design clocks which will be offered for sale through a silent auction. All proceeds benefit the DC Chapter. More information can be found here. 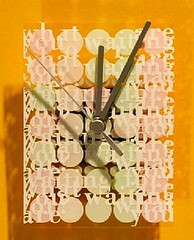 This is the clock I designed, it is titled "What Are You Waiting For?" What a treat to be included in this project! There ain’t no reason things are this way, it’s how they always been and they intend to stay, I can’t explain why we live this way, we do it every day, sings Brett Dennen on his most recent CD, 'So Much More.' I have been listening to this song repeatedly of late, not exactly sure why but not exactly sure why not. All I do know, really, is that I agree with him when he states there’s no reason things are this way, I don’t know why I say the things I say, but I say them anyway. I think it is fair to say that I talk for a living. Whether it is on the radio, in meetings with clients presenting design, or in school teaching the business of design, I find myself in a state of perpetual vocal motion, espousing one thought, then another, expressing beliefs, philosophies, sometimes even half-baked ideas. All of this is meant to provide a service, or to entertain, or to educate, or simply to share, but lately I have been reconsidering both the awesome privilege and responsibility inherent in public communication and the intrinsic accountability that accompanies it. I have been looking at both the purveyors and the methodologies of professional communicators in our culture: there are the politicians, of course, and news broadcasters and news magazine hosts, newspaper and magazine writers, designers and editors, and religious evangelists and businessmen and salesmen and lawyers and painters and rock stars. We all come to our microphones with mixed, sordid messages and in the hope that someone is listening. What is the point of all of these words? These diatribes, this opinionating, the propaganda—they are now inscribes with an impression of our humanity. I admit it: magazines have massively influenced me for as long as I can remember. My love affair with the glossy periodical began with two of the best: Weekly Reader and Highlights. Issue after issue, I poured over every word, admiring and analyzing the illustrations, participating in the prescribed activities while imagining a life that could be as interesting and easy and organized as the lives in my treasured publications. My fantasy-laden journey continued on with the classic Teen tomes. Tiger Beat and Sixteen became my bibles as I gave my heart away to David Cassidy and Bobby Sherman and persuaded my perplexed parents to let me plaster my bedroom with life size posters of Marcia Brady and Laurie Partridge. This mass consumption of information changed the way I related, perceived and lived. These messages, by changing the culture in which I participated, evoked a unique composition of sensory perceptions. The extension of any one of these perceptions altered the way I thought and acted. And like passing seasons or a transient fashion trend or any typical transitional object, when these perceptions changed, I changed too. Sometimes for the better, sometimes not, but either way it was based on someone else’s idea of what was groovy or pretty or neat, and whatever that was, I deeply needed to own and embody a piece of it. This impressionability continued and flourished well into my twenties, long after I moved to Manhattan and tried on the idea of an adult life. Predictably, my new handbook became New York Magazine. With its weekly delivery, my daily existence became an exercise in reinvention. First, I wanted to be a part of the Brat Pack, then to write like Mary Ann Madden or Judith Crist. But in the mid ‘80s, a cover commandeered the newsstands with such a force, it nearly knocked me over. It was Gary Trudeau’s comic illustration of a Doonesbury character yearning to be a "yuppie"—a young urban professional. I was mesmerized. I wanted to be part of this chic and fashionable new movement badly: I wanted to be successful and professional and urbane. Despite its now dubious demarcation, back then (to me), yuppie-ness stood for self-sufficiency and security and stability and bravado. But yuppie-ness seemed so far out of my reach that I even badgered my then therapist for tips on how could I become one. My yearning raged on. Several weeks later, while riding the subway, I observed a young woman reading the now epic issue of the magazine. Sitting across from this perky young commanding executive, I longingly lamented this distant state of grace, all the while utterly entranced by the cover art. I imagined sitting side by side with Gary Trudeau. His wife, Jane Pauley, would be there too, donning khaki trousers, all the while indulging in quiche and cappuccinos. Then, smack in the middle of my fantasy, I realized the elderly man sitting next to the perky executive was staring at me. I quickly averted my eyes from the magazine and quizzically glanced back at the man. Without saying a word, he smiled sweetly, a hint of amusement in his eyes, and he shook his head. Then he discretely mouthed two words: NOT PRETTY. I raised my eyebrows but I couldn’t help but smile back. Though much of what we read and participate in now is explicit enough to amuse, focus, stimulate or infuriate us, we hardly notice that in so doing, it continually reorganizes us. The media now has more impact on our culture than any other. One person’s quest for yuppie-dom might be someone else’s crusade for the immortality and retribution of Dylan Klebold, if Seung Cho is any example. Last week, I left my office particularly late, but decided to walk home anyway. The streets were crowed with despondent hockey fans, as the Rangers had just lost the last game of their playoff season. As I navigated the crowds around Madison Square Garden, I chided myself for taking that particular route and decided to put my iPod on to block some of the raucous hooting and hollering. As I searched through the minefield that is my handbag, I kept walking and inadvertently collided into an irate Ranger fan. I quickly and profusely apologized, iPod now in hand. But my victim would hear nothing of it. He looked me straight in the eye and angrily told me to watch where I was walking. And then he cursed at me. I paused for a moment, considering a retort, but decided to keep walking. Unsatisfied with my reaction, he tried another tactic: name-calling. As he shouted out to my back, I couldn’t believe what I was hearing; he yelled: STUPID YUPPIE. At that moment I didn’t know if I should run for cover, or turn around, smile and thank him. Joining me today on Design Matters is Luke Hayman. Luke Hayman was born in Hemel Hempstead, England in 1966. He studied graphic design at Central/St. Martin’s School of Art in London. Luke moved to New York City in 1992 and has been living and working here since. He joined Pentagram’s New York office as partner in December 2006. Prior to joining Pentagram. Luke was the design director of New York Magazine. Before that he was the creative director of Travel + Leisure magazine and the creative director of Media Central and Brill Media Holdings where he was responsible for a range of publication and conference projects including the redesign of Brill’s Content Magazine. In addition, he was Senior Partner and Associate Creative Director in the Brand Integration Group in the New York office of Ogilivy & Mather. He has also been the Design Director for I.D. Magazine. Luke’s work in editorial design is widely recognized and has been featured in many design publications and blogs. He has won awards from The Association of Magazine Editors (ASME), the Society of Publication Designers (SPD), American Institute of Graphic Art (AIGA), Folio: Magazine and the Art Director’s Club, Notable, New York magazine was awarded SPD’s highest honor of “Magazine of the Year.” The magazine also won ASME awards for Design and General Excellence, and a Silver Award from the British design association D&AD. I'll be interviewing the super cool Masamichi Udagawa and Sigi Moeslinger of Antenna Design about their backgrounds, design philosophies, and anthropological approach to working with clients like Jet Blue and Nike. Lately I have been thinking a lot about space. Not space as in Star Trek space, but space as in the space around us. Space as in the invisible boundaries we’ve designed around ourselves to create a sense of privacy, of protection and space to create a sense of self. I had three experiences in a row provoking this inner dialogue. The first occurred while riding an elevator up to the seventeenth floor of my office, which is in the Empire State Building. It is a huge, bustling monolith, with people dashing out and about, and hoards of tourists snapping pictures. On this particular day, I was happily able to snag an elevator to myself and was avidly distracted by the strangely hypnotic television screens broadcasting the latest news, time and temperature. The car stopped at the seventh floor and a man got on. Ordinarily, when getting on an elevator, a very silent but pervasive series of mannerisms, quirks and behaviors set forth. Mostly, people tend to retreat to a corner of their own, and will often move several feet from where they are to allow for a comfortable spatial distance to form around themselves. This seems to be done almost automatically. However, this particular gentleman did not retreat to a corner. He stood directly behind me. He wasn’t close enough to actually touch me; he wasn’t being offensive in any way. He was just spatially too close, given how much room was in the rest of the elevator. When I got off on the seventeenth floor, I felt oddly perturbed. My second experience occurred as I was walking home from work. There were lots of people coming and going, racing home for dinner, American Idol, and that wonderful first glass of wine. Then, out of nowhere, a woman caught up to my pace, and started walking parallel with me. Not ahead of me by a few steps, not behind me by a foot or two, but right next to me, as if we were companions, walking side by side. She didn’t seem to be trying to pass me, as is often the case when I am walking wearing high heels. She just matched my step. Again, I felt odd. And then relieved when I turned the corner and she didn’t. According to a paper written by psychologists Allyn & Bacon, environmental psychology is the study of how physical settings affect human behavior. It also studies how people govern their environment. Environmental psychologists often act as consultants to governments, schools, hospitals, churches, and museums. They might improve museum layouts to create more dynamic displays. In many cases, these psychologists study environmental variables, like crowding and spatial density, and how people can become apathetic or even hostile when they feel uncomfortable or encroached. Another noted psychologist, G. Stanley Hall, suggested that personal space is a mechanism by which people communicate with others, similar to verbal communication, body language and written or designed communication. He proposed that people first adhere to norms of personal space in childhood. But this is also a very Western concept, wherein large personal space is insisted on, with proximity reserved for close friends. In some Arab and Eastern cultures, for example, there is a much smaller distance between strangers that is acceptable. All of these zones seem rather logical; in fact, I find they allow for an easy explanation of why we might want to step away from someone we don’t know in a closed elevator. But my third and final experience—what would ordinarily be considered a fairly common phenomenon—proved rather remarkable in the face of these findings. Traveling downtown during rush hour to meet a friend for dinner, I found myself crushed into a pile of people without even a handrail to hang on to. Whenever the train stopped, I fell forward or sideways, tumbling deeper into the strangers surrounding me. I wasn’t traveling with any of them, per se, and yet I knew the woman next to me smelled like she was wearing Obsession by Calvin Klein and the teenager to my left was listening to “This Is Why I Am Hot” on her iPod and the man on my right was reading Prozac Nation, and the man next to him had circles of sweat under his arms and the woman across from us had chipped finger nail polish, a button missing on the sleeve of her blouse and was carrying what was likely her dinner in a white paper bag from Quiznos. Suddenly I realized, for whatever reason, it was perfectly acceptable to lose all conventional mannerisms of spatial zoning in an effort to allow one more person to stuff themselves, mosh-style, into a subway car in order to ensure that they, too, could get to dinner on time. Quite naturally and without giving it a second thought, all of this was done without the slightest hint of verbal communication or a fleeting glance in someone’s eyes. The irony of the earlier anxiety I felt during the ride with the man in the elevator or walking with the woman on the street was not lost on me. Space, in this case, was extremely relative and mutually nullified. And yet, amidst all of our quirky physical machinations to maintain spatial autonomy, we still seek to understand where we belong and how we fit in—or not. When we design, we attempt to analyze the space between letters, tension between colors, patterns in the grid, negative space on the page. How elements best work together—or don’t. The rest of the time we orbit and navigate around the people and things we want to get close to, those we want to step away from, those we try not to notice, those we try to get to notice us, what our boundaries are and why. Joining me today on a very special broadcast of Design Matters is Steven Heller.